Irish Taekwon-Do Association (ITA) is the organisation responsible for the development and promotion of ITF Taekwon-Do in Ireland in accordance with Government Sports Policy and is recognised by the International Taekwon-Do Federation (ITF), Irish Martial Arts Commission (IMAC) and Irish Sports Council (ISC). 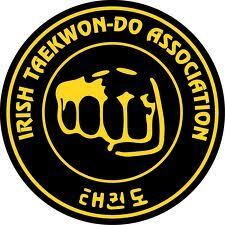 The association was founded under the name All Ireland Taekwon-Do Association (AITA) in 1984. The name Irish Taekwon-Do Association was adopted on 13th May 2006 when Ireland’s Allied National Associations (ANAs) unified in a democratic merger process. Irish Taekwon-Do Association is an Allied National Association (ANA) of the International Taekwon-Do Federation (ITF) and is a member of the Irish Martial Arts Commission (IMAC) which is the official Government recognised National Governing Body (NGB) for martial arts in Ireland. The Irish Taekwon-Do Association is a dynamic and progressive organisation, which comprises ITF Taekwon-Do schools in Ireland covering; Clare, Cork, Dublin, Kerry, Limerick, Meath, Tipperary, Waterford, Wexford and Wicklow.